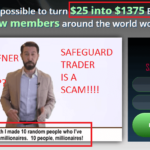 In today’s article, we’re going to review a popular automated binary options trading system software and prove if it’s a SCAM or a Legitimate. The Google Trader is the automated trading system which is created by Ben Williams and the aim of this trading software is to make binary options trading a success for the traders or people who’re not into this business. While we started analyzing Google Trader first we noticed the line Powered by Google. For one minute we thought that its genuine trading system as it’s powered by Google, but we were wrong. Even we’re confused by they want to use this term? Just to fool people or to tell people that Google Inc. is behind Google Trader? We still don’t know the answer to this question. So without wasting any time, why don’t you start reading a genuine and honest Google Trading system review. First thing: Our first impression about the Google Trader is not so good, the website of this trading system is just like other money making schemes available over the web and in few minutes of our research we get lots of negative feedback from the people who already used it. 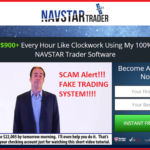 We took no second in making a decision that its 100% scam software and even suggest our readers to stay away from it as using this trading system you’re going to waste your heard earned money. Even the worst part of this trading system is that they pick out japan day traders with a full translated and GEO targeted pages as they trap and divert easy prey or victims via shady email marketers or via media campaigns. 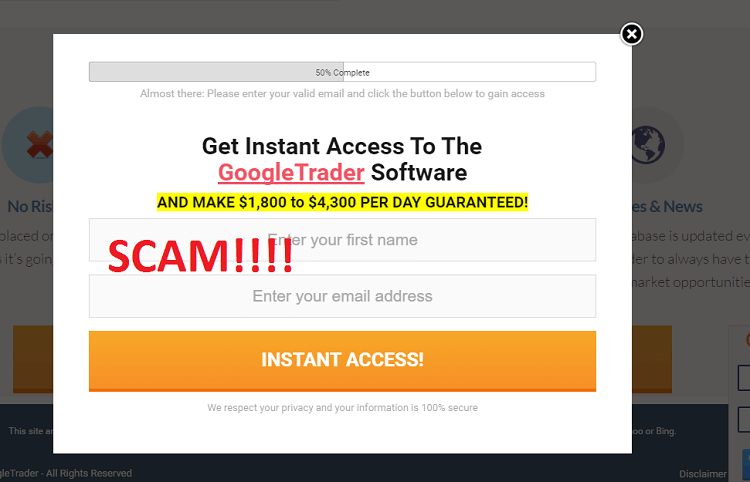 Even lots traders in 2016 are still complaining about Google Trader trading system, that traders associated with this binary options trading system are fraud and the system didn’t even generate a winning rate as promised by Ben Williams. Yes, we know that why would someone beleive our this review? If we don’t provide proof about Google Trader which prove this trading system a SCAM. As always we have also gatherd proofs for against Google Trader. 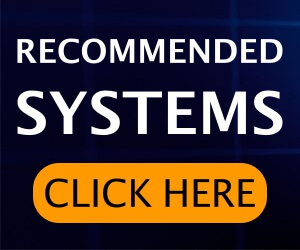 Note: Users who don’t beleive our review, are fully recommened you try this trading system and we would love to hear from them after they try it personally. So here are some clear evidences about Google Trader that its a Scam. 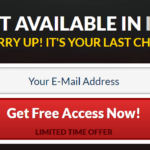 They mentioned so many times on their website that users can try this trading software for free, but the truth is that trader need to maintain a minimum of $250. The worst part of the Google Trading software is that user account get lockeddown without even getting a chance to use the Google Trader software. That means you risked your $250 for nothing. 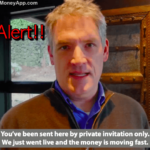 We don’t know why users still want to invest this scam trading system. Any trader who’re into this bussiness from long that knows very well that any trading system who assure you ITM rate of 98% is surely a scam. This is because, the ideal ITM rate of any genuine binary option trading system is between 70%-80% and our past experiences or users reviews has already proved this point. You might see the review of users claimming that they getting 90%+ ITM rate using Goolge Trader. We’re sure that review is fake. 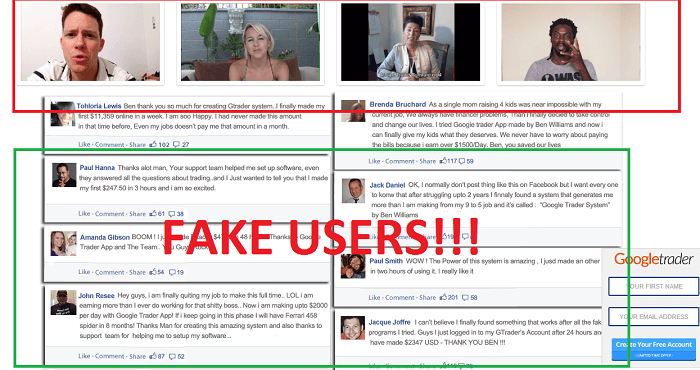 All the positive review or testimonials about Google Trader on their official website provided by Facebook users are fake. If you spend few seconds checking those review you will come know that all the posts are fake. You will not find any of these review on Facebook. Now, why would we recommend or endorse trading system who generating fake review for their product? 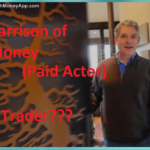 In the video presentation of the G Trader, a users who manage to earn money using this trading system demonstrate how much he earned using this sytem. But what make us think that it is fake is, that the account doesn’t showing his name which make us think all this system including testimonial providers, video presenters are mysterious. Google is one of the most popular brand who already have some genuine and useful web service and system that really helps users. Why would Google will this type of SCAM? Even over the web if you search about the relationship of Google.com and Google Trader, then you will not find even a single line about it. Not even on Google official Blog. So it’s confirmed that this trading system is using Powered by Google to earn the faith of people by using the name of Google. Our Opinion- We don’t Recommend you to Try Google Trader!! 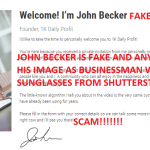 We have shared with you enough proofs that 100% confirms that this trading system is a SCAM and We recommend all our readers not to invest in Google Trader Software. Rest decesion is yours. If you invest in this binary options trading system don’t foget to share your personal review in the comments. Instead of Google Trader software, you can use other trusted softwares like Binadroid software or Copy Buffett software.